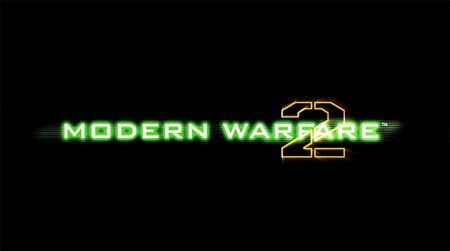 Diary of a Ledger: Call of Duty: Modern Warefare 2 - Online Review. Call of Duty: Modern Warefare 2 - Online Review. 13 hours 46 minutes played. When a game was this highly anticipated there was always a danger that the product would never be able to match the hyperbole that surrounded the release. The single player game does not, by all accounts, quite match the immersion of Call of Duty 4. However online this is about as perfect an experience you could have with a game and I've barely scratched the surface of what's available, mainly focusing on teamdeath matches and free-for-alls. The first major difference is how customisable the whole thing is. The level of detail is incredible. You can set up your own Kill Streaks so that they suit you best. And you're not restricted to just three either. Sure there's UAV (radar), an air strike and a helicopter as before, but now you can be in the helicopter and shoot the opposition down yourself. Amazing feeling. You can be up in an AC130 plane bombing those below you. Stunning. These glorious additions are only available after 11 kills and after you've unlocked them. But that doesn't mean that they're as rare as a cat shouting, 'Please stick that firework up my arse,' because we now have 'care packages'. Get four kills and you get an air-drop of a random package, from an 'ammo top up' to a 'nuclear strike'. I kid you not. Battles feel like battles with many games suddenly getting focused on one area, there is far less of the running round in circles that we saw on World at War. That's down to the level design from Infinity Ward. The maps are brilliant. Naturally everyone is going to have their favourites and the ones they dread playing, but this is what balances the game out. There are always going to be campers with their sniper rifles, but now they are less of a frustration as there are less truly easy places to just lie down and pick people off in relative safety. It looks and sounds are some of the best I've ever seen or heard. There is no doubt, that on all fronts, this is a ramp up from COD4. The level of detail is stunning with bits and bobs floating around, caught up in a virtual breeze. Guns sound suitably meaty and the addition of rumble, on the PS3 this time round for the pad, only helps to build the atmosphere. You will laugh, you will curse, you will jump out of your skin. This is the only online game worth its salt. They could have boxed the single player and online games separately and this is the one I would have bought. Truly exceptional, a massive achievement and a well worth the two year wait. Well done Infinity Ward. Goodbye social life.